When your carpets are cleaned by ChemDry South East you can be assured that your carpets have had the best clean available. We will thoroughly vacuum all carpets. We will then apply any pre-sprays that may be necessary. Next we apply our main Cleaning solution, THE NATURAL. This is our carbonated cleaning solution that has been in use in Australia for the last 30 years. The next step is to agitate these products into the carpet to break up the dirt, dust and stains. At this stage we may also use Hot Water Extraction. We then use our buffer to gently lift the dirt and stains off the carpet, leaving them Drier, Cleaner & Healthier. We finish the process by applying a Deodoriser. All of this is included in the price that we give you over the phone. While we are there we can also apply Protectant, or Sanitiser, or Dust Mite Anti Allergen. Our Protectant is called ‘PowerGuard’. PowerGuard has a unique polymer base that makes it fundamentally different to competitive carpet protectors. We have learned from using other polymers of the incredible protective abilities polymers provide. PowerGuard provides a clear coating on the fibre that works by encapsulating soil and sugars into its protective crust. This product provides unique layers of protection, giving a carpet the ability to resist re-soiling for very long periods of time. PowerGuard also has acid dye resistors to help prevent dyes from bonding to the fibres. Oriental rugs need to be treated with care when cleaning them. They are more delicate than other mass produced rugs and need to be treated accordingly. You cannot use harsh chemicals or cleaning products with a high Ph level. We use our hot carbonated cleaning process combined with our cleaning solution that we call ‘The Natural’. We will have your oriental rugs looking cleaner and fresher every time we visit you. The mattress that you sleep on could be causing you sleeping or breathing related health problems. If you suffer from dust-mite related asthma problems, we can apply Dust-Mite Anti-Allergen which neutralise and render harmless the protein allergens created by dust mites. Apart from these obvious benefits, your mattress can hold a large amount of body oils and skin particles. We can effectively clean and sanitise your mattress to create a healthier environment for you and your family. A mattress clean twice a year can be of great benefit to your whole family. Our amazing, patented cleaning solution is at the heart of the ChemDry cleaning process. The Natural combines safe, non-toxic ingredients copied from Mother Nature to produce carbonated bubbles which literally lift dirt and allergens to the surface for extraction. This process enables ChemDry to use much less water than other cleaners. This means your carpets only get 20% of the moisture of steam cleaning, so your carpets are dry within just one to two hours. Using our unique carbonated solution, your carpets will be left Drier, Cleaner and Healthier. ChemDry uses far less water than other cleaning methods, because our carbonated solution literally extracts dirt from your carpet fibre. 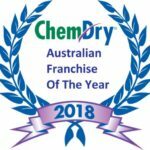 Carpets cleaned by ChemDry are cleaner because we don’t leave any dirt attracting residues and a ChemDry clean is healthier, because we don’t leave carpet underlay soaking wet. Such wetness is a breeding ground for mould or bacteria. ChemDry removes most stains with our normal cleaning. But for those stubborn, hard-to-remove stains, ChemDry’s specialty stain cleaning services may be necessary. For a nominal fee, ChemDry’s powerful stain removers can get out even the most difficult stains in your carpet and upholstery, like rust stains, coffee stains, pet stains, grease, lipstick, and fingernail polish. Be amazed at what we can remove. On top of our superior carpet cleaning we can also offer our customers beneficial services like Carpet Protection, which acts as a barrier against stains. Deodorising which keeps carpets smelling fresh. Dust Mite treatment for allergy sufferers, and even Sanitising for areas which have been exposed to bacteria or mould, ideal for childcare centre’s hospitals and other businesses. ChemDry has been the leader in fabric care for more than two decades. We use the same research-backed techniques for upholstery that are so successful on carpets. Fabric colours will brighten, spots and stains will disappear, and your furniture will be back in use in a matter of hours. Why not have ChemDry South East take care of your Upholstery cleaning at the same time we clean your carpets. ChemDry have developed many products specifically designed for carpet and upholstery cleaning experts. However some products are available for home use. We offer our World Famous Professional Strength Spot Remover to the public. This product is a must for every home and is ideal for those incidental stains. We also offer DIY deodorizers, which come in different scents. These products are soil resistant and contain a long lasting time release formula. Each clean releases a pleasant fragrance, just as though the product was applied.